Planet Mars has attracted us always Vegetarian and Mars . I was surfing net when i came across an astronomical video to see the surface of Mars. The video was created with the aid of the virtual reality astronomy program VRMars-Spirit . Hoping that you will also enjoy going through the video as much as i did. Can a vegetarian survive in Mars ? Do you want to have a Martian home and plan to stay there forever....... then you need a lotta chickens. Mars climate is not like Earth as there are no plants in Red planet hence, the future settlers of Mars will have to depend on Earth to meet their demand of daily bread. We are all aware of the fact that chicken is a great source of protein , chicken's dung can be used as manure to grow the crops such as wheat and barley in the Martian soil by genetically altering the plants and can also be used as energy to light up the homes there. It is believed that chicken dung has the highest level of nutrients available. Using the process of Pyrolysis the future settlers can turn chicken manure into biochar ( a charcoal like product ). 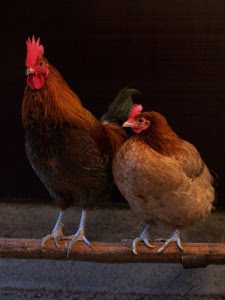 Simple reason for the use of chickens is that they are easy to transport as compared to other animals which are larger in size. The size of an egg is average 57 gms and an average size of a calf is 32 kgs at the time of the birth so it makes chicken as the preferred choice for the future space animals. If you are a vegetarian then you will have to give your Mars dream a miss for the time being ! Mark the date 17 Feb, 2010 as you might see Asteroid Vesta with binoculars or if you are lucky can even see it with your naked eyes as it will shine at a magnitude of 6.1 . Vesta is not the largest asteroid but it will be brightest as it will be opposite to Sun as seen from Earth. It will be at its closest point to Earth in its orbit about 211,980,000 kms away , the asteroid will be visited by the spacecraft Dawn. Vesta will be visible in the Eastern constellation. Why Asteroid Vesta will be prominent ?? Vesta is in close proximity to Earth these days , full half of Vesta is being bathed by sunlight which makes it brighter and it has unique surface material that is not dark. Don't miss the opportunity of seeing Vesta !!!! Astronomy and Valentine's Day ..............??? Valentine's Day is associated with flowers and chocolates ....... but if you love someone who is interested in astronomy then here are few pics to win his/her heart. This love from Mars is a heart shaped pit formed by collapse within a straight walled trough known as graben. The pic is send by Mars Orbiter Camera ( MOC). 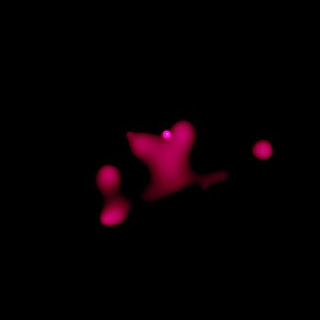 Chandra image is of young star cluster NGC 346 which highlights a heart- shaped cloud of a 8 million-degree celsius gas in the central region. 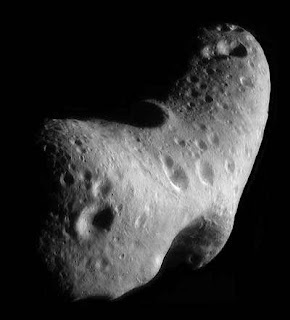 Asteroid Eros mythical name is fitting of the holiday. It was imaged by Near Earth Asteroid Rendezvous Spacecraft. 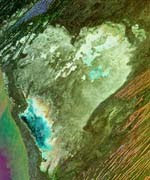 Envisat picks out a heart from the arid landscape of Africa's Sahara. This is a multi-temporal Advanced Synthetic Aperture Radar (ASAR) image of the central coast of Mauritania in West Africa . We are celebrating Valentine' day on our Earth today but we should not forget that love is found every where . Our Universe is after all such a loving place. Have an Astronomical Valentine's Day !!! Have you ever played with the idea that your future generations could be building their homes in Martian soil. Yes, it can be very much possible ........ a house in Mars . How they will they get energy for using it at home and for cutting rocks ?????? The answer could be biofuels. It is believed that a slightly altered cynobacterium may help us to power future Martian homes. The sunlight which Mars gets is half the amount of sunlight which Earth receives so no any chances of using solar energy as power. Mars has rust , dust and lots of carbondioxide in its environment and carbondioxide can be used by cynobacterium to turn into a biofuel called isobutanol . This biofuel can help people living in Mars for power. 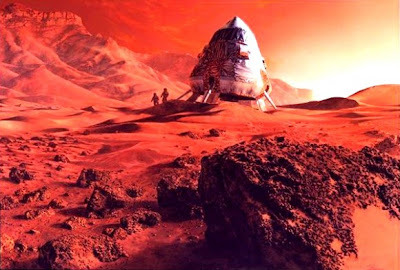 Biofuels can't burn in the carbon atmosphere so the future houses in Mars need to be altered to carry oxygen as well. Having an inexpensive biofuel can fulfill our dream of our future generations building homes in Martian soil. 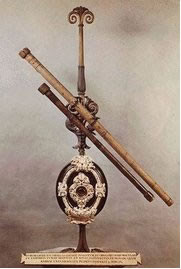 Telescopes made their mark in the history almost 400 years back in early 1600’s. It all began when Galileo, an Italian mathematician, invented a new mechanical instrument that helped him in realizing his dream of viewing different celestial objects in the sky at night. According to the principle that was invented by Galileo, a telescope should have an arrangement of two lenses in order to gather more light. the principle is that the two lenses would gather the light and would focus the gathered light to build an image.